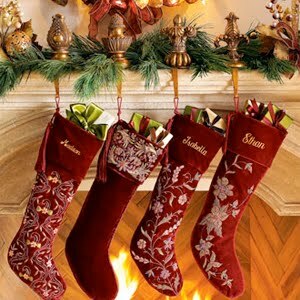 One of my new rules for giving gifts is to think about all of the products that I love in my life. If you can't get enough of a product or maybe it's something that is so special, you only use it on rare occasions, chances are others will love it too. That is how I came upon this list. Below are all products that I use and love. Truffle oil is not inexpesnisive so people tend to not buy it all that often, making a great add-on for your foodie friends. "White Truffles originate in Alba, Italy and are considered by many to be the most prestigious truffles. The strong, intense, earthy flavor of this oil will bring a deep aroma to your dishes, and will especially complement pasta, mashed potatoes, meat and other dishes." Cost: $16.99/250ml, found in most grocery stores or order online, I buy the La Tourangelle brand. Someone gave me this item as a gift last year for Christmas and I haven't looked back. By far the best mascara I've ever used. Smooth to apply and easy to remove with a rich black color. "Our exclusive brush saturates each lash with glossy, jet black color, making them look dramatic, glamorous, and supernatural. 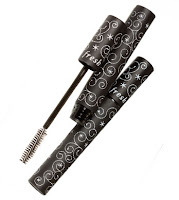 An ultra-rich, nourishing formula strengthens lashes and ensures clump-free results that won’t smudge or run." Cost: $25.00/one tube (I know, but it's worth it). Found in Sephora outlets (may be in other locations) or order online at Fresh. I have come quite fond of tea in the afternoon. For my afternoon tea, I like something that is caffeine-free and a nice flavor. I also add some warm coconut milk... yum. Roobis is easy on my system, from South Africa, roobis is extremely high in antioxidants and has a particularly low amount of tannins. The Carmel Apple has been my favorite but there are SO many lovely flavors. 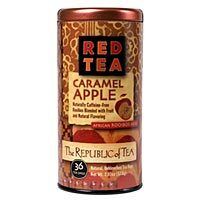 "Sweet African rooibos is the ideal base for smooth caramel and crisp apple flavors. This pleasing caffeine-free blend is wonderful as a dessert tea. Enjoy with a splash of warm milk." Cost: $10.00/tin of 36. Found in most health foods stores or buy online at Republic of Tea. I adore this coffee. Simply adore. I typically do not like flavored coffee but I have yet to find a flavor of this coffee that I don't like. Royal Abyssinia is roasted local to Colorado, in Henderson. Though the beans are shade grown by small farmer co-operatives in Ethiopia. This coffee is also organic, and certified non-GMO. Whole bean is always a great way to go though I love the ground because the grounds are perfect for the french press which is how I prepare my coffee. Cost: $10.50-$14.00/12 oz bag. Found in Colorado health foods stores, or buy online at Door to Door Organics. There are only a few qualities to love about a nail polish in my mind and Essie 'nails' them all. "A beachy sand pink with hints of sheer shimmer perfect for a french manicure." I've been wearing the East Hampton Cottage. Cost: $8.00/bottle. Found in most beauty and drug stores, or buy online at Essie. This product is perfect for my unruly crazy curly hair. I use it before I blow-dry and it makes my hair so much more tame. Love it. My hair is quite long and I only need 2-3 pumps per use. 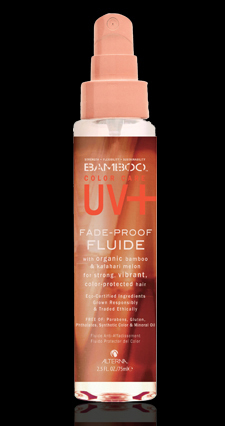 "Weightlessly shields hair with a UVA/UVB barrier to fade-proof color while enhancing vibrancy & multi-dimensional shine." Cost: $24.00/2.5oz. Found in Sephora outlets or find the nearest location at Alterna Haircare. 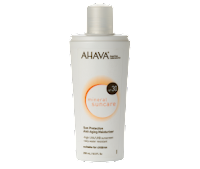 I fell in love with Ahava sunscreen at a beach party in Malibu years ago and have not veered away from this brand. It is the only sunscreen I have applied that actually feels good on my skin, doesn't cause a breakout and the scent is incredible. Just one more thing to be excited about summer ;) Though, don't forget that sunscreen is just as important during the winter months while you are out on the slopes. 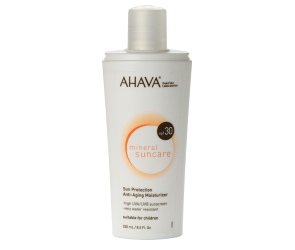 "Rich in age-delaying Dead Sea minerals and skin-healthy vitamins, this sunscreen meets the strictest Australian UV protection standards and shelters skin in the water for up to 80 minutes." Cost: $26.00/8.5oz. Found at Pharmaca outlets or online at Ahava . The Larabar has been a staple in my pantry (or purse, desk drawer, car...) for quite a few years and even more so since I have been gluten and dairy free. Perfect snack for in between meals or a couple of them can be a great meal replacement on long days on the trail. "After scouring the aisles of grocery stores and noting popular flavors of ice cream and cookies, I delved into my own product development. Natural foods, I believed, should be fun and enjoyable as well as good for you. With friends and family serving as focus groups, I tinkered with recipes until a consensus on yummi-ness was reached," Lara Merriken, Founder. I'm a huge fan of the Blueberry or Cherry Chocolate Torte but there are a ton of flavors... yum. Cost: $1.29-$2.00/per bar. Found in most grocery stores or online at Larabar. I am quite certain that chocolate is an essential part of my life. I really don't think I could live happily without it...hm. Yeah. And not just any chocolate. I do not do milk chocolate and I do not do white chocolate. I do high quality blissfully dark chocolate. Yes, perhaps I may be a tad high-maintenance. I prefer to use the term 'medium-maintenance." These bars are organic, non-GMO and use very minimal ingredients. "Since 2006, we’ve been making the highest quality chocolate from the world’s best cocoa beans, grown in the most sustainable ways possible. It’s our way of putting our passion into practice." 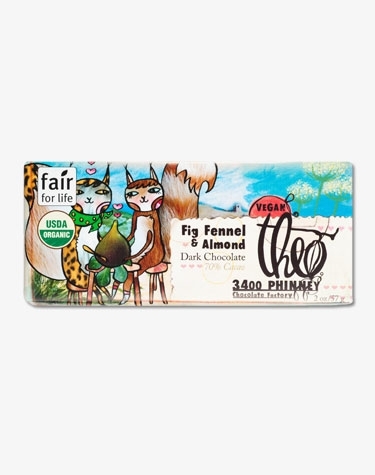 I'm currently obsessed with the Fig Fennel & Almond bar. Delicious. Cost: $3.50-$5.00/per bar. Found in most health foods stores or online at Theo. You can read about ALLL the many many uses of coconut oil here but in short it has numerous health benefits making it suitable for eating raw, cooking, baking, household uses, applying to skin, hair etc. It's a true super food. "With a light fresh fragrance, it is food for the body, both inside and out. Go ahead and rub in this natural moisturizer right on your skin or in your hair as an oil treatment. Watch it shine!" Cost: $13.00-$16.00/12oz jar. Found at most health foods stores, or buy online (I use the Artisana brand though you could use others- make sure it's unrefined). 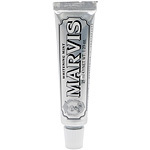 "A rich, creamy toothpaste that offers an intense taste sensation. Removes plaque and tartar while whitening the tooth enamel to make your smile even brighter and more beautiful." This toothpaste is quite pricey (comparatively), making it a perfectly unique gift. Cost: $8.00-$14.00/per tube (depending on flavor). Found online at various locations including Beauty Habit. I had the great pleasure of visiting Maine a couple of summer's ago (Bar Harbor specifically). If you have not been, I highly recommend it. A truly special place. I purchased this garlic sea salt in a gift shop - one for my sister, mom and myself. I used mine just about daily and ran out quickly. There isn't much that I won't put garlic on and added with the sea salt makes for an excellent flavor. A great gift for the culinary enthusiast. 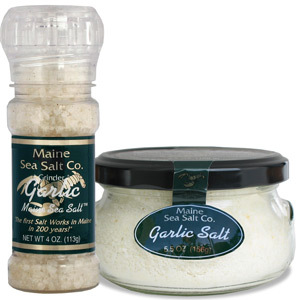 "At Maine Sea Salt Company, we believe that the cool, mineral-rich saline waters of the Gulf of Maine provide our sea salt with its unique flavor." Cost: $9.00. Found online at Local Harvest. Honey, truffle and mustard. What's not to love about this combination? I buy this every year at my local farmer's market and unfortunately cannot find the brand online. So, I'm taking a wild guess that this one has a similar taste. "The elusive white truffle is prized for its rich flavor and heavenly aroma. 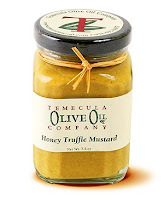 Paired with sweet honey, our Honey Truffle Mustard smells as delightful as it tastes." Cost: $4.95/7.5oz jar. 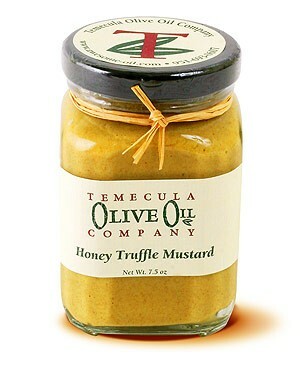 This brand is found online at Temecula Olive Oil though there are other brands that make this type of mustard. 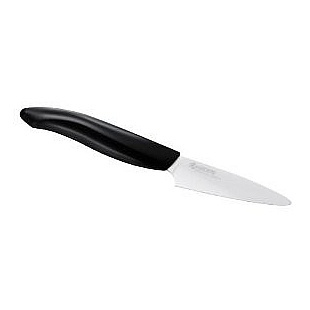 A kitchen is simply not complete without a Kyocera knife. 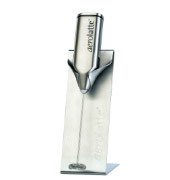 Ideally, a Kyocera knife-set but that may have to come with time. These bad boys are super slick. Making slicing through a melon effortless. What makes these knives unique are their ceramic blades. I have yet to find another knife that slices through food quite like the Kyocera's. "For detailed tasks like trimming, peeling, mincing and creating garnishes. Perfect for the home cook, this knife will be used daily, quickly becoming a favorite in the kitchen. Ideal for fruits, vegetables and boneless meats." Cost: $19.95-$34.95 (depending on white or black blade). Found in William Sonoma and Sur Le Table outlets or online at Kyocera. For anyone that enjoys a latte or cappuccino. This little gadget froths up milk (including many of the dairy-free milks!) just like you'll see in the coffee shop. It is super easy to use and doesn't require steam. "The world-famous, award-winning, best-selling 'original steam-free milk frother,' that has launched many an imitator is available in a range of great finishes." Cost: $15.00-$20.00 (depending on finish). Found at Williams Sonoma or buy online at Aurolatte. And that my friends, concludes my Top Fifteen Stocking Stuffers. 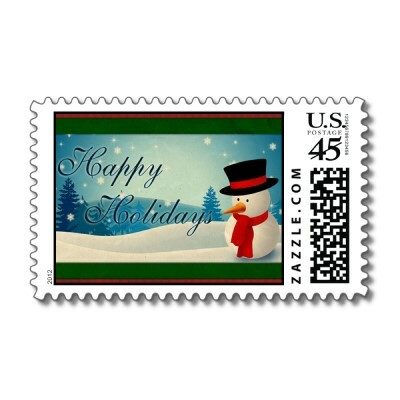 Wishing you all a safe and warm Holiday Season surrounded by love, laughter and health. What a great list! Totally with you on the chocolate! No problem turning my nose up at anything less than 60% but naturally go for 80 or above!